Top 10 Trends Every iOS App Development Company Should Follow | iMOBDEV Technology Pvt. Ltd.
iOS devices are very popular till now since Apple’s launched in the market. iOS devices are very expensive as compared to other smart devices. iOS App Development Companies have been creating good revenue by following top trends on iOS App Development. A review from the experts says that iOS development with new trends using by the developers would be more beneficial with different criteria. 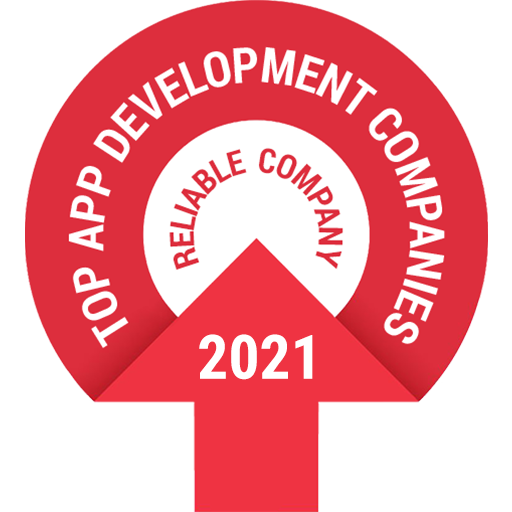 iPhone app development company keep the points in mind for the betterment of the productivity, creativity in apps, ideas to reformed using current top trends for iOS app development are the criteria would help your company income upwards. The developers and company research on changing trends to apply for iOS App development for having such changes in look and feel while operating application by the user. In this technology, a developer does not need to have an additional license. You need to get start work included in the iOS SDK. Beacon Technology is an existing technology enabling new location awareness possibilities for apps. It helps to merge online and offline differences for event management, finance, and retail sectors. This technology integrated into kitchen appliances, lighting, washing machines and much more. That will shows the information about a nearby shopping mall, restaurant to the users. Apple’s iPad and iPod are very useful for enterprises and business applications in these days. The high spot days of iPad in 2014 are long gone now. The app development activities will increase the iPad sales in this year. iOS app development will increase with big data, IOT and enterprise mobile app. The android has always won the battle of volumes as compared to iOS. But iOS wins with great revenue generation from its quality of devices and functionality in it. Now IoT trend comes up in the iOS app development arena. The iOS application developers make use of the internet enabled devices to make use of IoT. A user needs to connect their device with internet enabled devices. For e.g. A care needs to on the internet connection and enable the IoT app which would sense the traffic signal and get weather related information through it. The feature of finger point had been included in iPhone 5s launched and Since then, many application has been developed with the access of touch ID. This would be helpful to expand security for online shopping and banking. The developers can do more usage of the feature of the fingerprint. The cloud-based application is more beneficial for the iOS developers to share app on cloud computing. That will help to iOS developers to sync their app across various platforms in cloud computing. The limitations of space storage can use cloud storage to backup extra data. Cloud computing provides features like social networking and location-based security tools.The wearable devices require cloud support to access the app information. Online games require handling huge incoming data on servers. Cloud computing is the solution to maintain data effectively. Why need a Cloud-based application? Gaming applications have included various category such as puzzle, racing, action and more. A list of upcoming games in this year has been already predicted by iOS user. The developers are also trying to improve the visibility of premium applications. iOS App Development companies are now offering in-app purchasing to the users. Free iOS game applications are very becoming successful and making huge profits for developers. The tools and frameworks for iOS app development are always changing and becoming more advanced. There are plenty of other high-end iOS tools and frameworks available, end developers need to be prepared to learn constantly. Testflight is a native beta test distribution framework. It is the most suitable network, REST APIs can be tested with the postman. Cocoa-Pods is a dependency management system for iOS Apps. Jazzy is a command-line utility that generates documentation for Swift or Objective-C. When Swift launched as development tool or platform. It proves revolutionary changes in coding. A developer prefers swift language instead of C for developing any iOS App. The swift 3 involves the standard library adopting consistent naming conventions across libraries. The Swift programming language is indeed the most developer-friendly version. The end User-Experience is must be successful in development task by delivering smart navigation-friendly design, layouts, graphics and quality animation for advertising supported applications. Uploading a new app in the store to download and using it – the entire process must be one smooth journey. Today, the competition among iOS apps is increasing all the time. Overall excess of 2.2 million applications and it is not easy to the developer to stand out with a product in the crowd. They have to understand and implement updated App Store Optimization strategies – from creating detailed, description of the app, select the best app name, select attractive app icon, uploading the required app screenshot and including the important keywords in the description. The competition is with the big crowd and developer/App Store Optimizer need to work on marketing strategies continuously. A developer must keep up to date himself with current updates. The blog will help the developers to keep a focus on latest updates in iOS tools. We the iOS App Development Company working in the market and our developer always updating themselves with top trends on iOS App Development for better application development using iOS tools. iOS App Development Companies have been creating good revenues by following top trends on iOS App Development. Enterprise apps are necessary for any business and mobile iphone will be the future of Enterprise apps. A very good example of such an app can be a mobile CRM app. Mobile apps and Internet of things have a great potential and integrating them both can take the game to the next level.